This study investigates effects of electrolyte feed patterns on the anode surface roughness in magnetic field–assisted ECM. Physical and mathematical models of forward feed and reverse feed of electrolyte are constructed using commercial COMSOL Multiphysics software, and the current density at the anode surface is simulated. In order to verify the correctness of the model and simulation results, we carried out an experimental study. According to the simulation results, the anode surface current density obtained by the electrolyte reverse feed is higher than that by forward feed. Moreover, the magnetic field is found to increase the anode surface current density in both forward and backward feeds of electrolyte. Meanwhile, experimental results show that the Ra by electrolyte reverse feed is smaller than that by forward feed, and in both feeds, the presence of magnetic field can contribute to the reduction of Ra value. It can be concluded that the magnetic field plays a positive role in improving the anode surface roughness during ECM, and the introduction of magnetic field into forward feed ECM results in a higher surface roughness than that into reverse feed ECM. Such conclusions are of great significance to widen the application of the extended magnetic field–assisted ECM. The authors also would like to thank Dr. Peili Yin of Xi’an Technological University for her helpful suggestion. 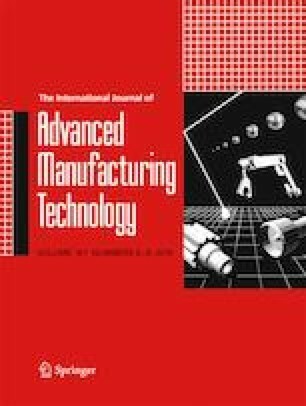 This study was supported by Open Research Fund Program of Shaanxi Key Laboratory of Non-Traditional Machining (Grant No. 2017SXTZKFJG02) and project funded scientific research project of Key Laboratory of Shaanxi Provincial Department of Education (Grant No. 17JS056).